This is an exciting day for me and the mighty band of writers in the Familiar Legacy publishing venture. Today, FAMILIAR TROUBLE, the first book in a new black cat detective series, goes on sale. 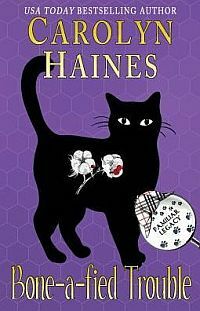 Some of you may remember that back in the day I wrote romantic mysteries about Familiar, the black cat detective. I’ve gotten the rights back to some of those books and have reissued them as e-books (FEAR FAMILIAR, TOO FAMILIAR, THRICE FAMILIAR—only .99 cents each). But the Trouble books are brand spanking new and will also introduce you to several new authors. 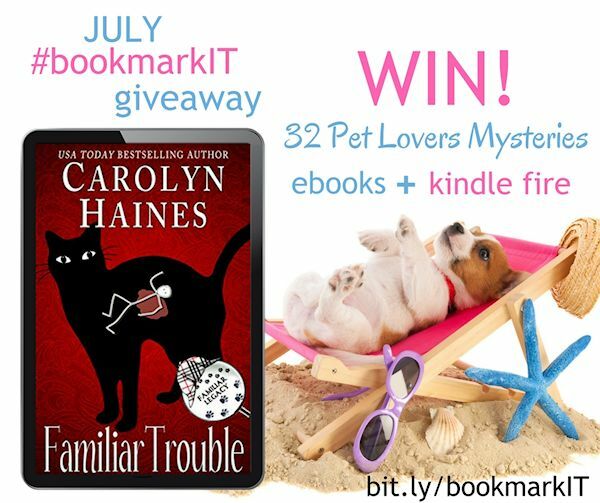 In the debut mystery, Trouble is in Wetumpka, AL with his owner, Tammy Lynn. But like his father, Trouble is a traveling cat. In Book 2, TROUBLE IN DIXIE, the wily black cat detective is in Savannah dealing with art thieves. 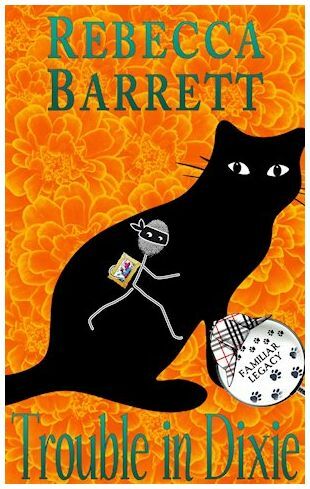 Rebecca Barrett is the author of the second black cat tale. I’m really excited about this publishing venture, and we have more books lined up. TROUBLE IN TALLAHASSEE (Claire Matturro) for September and TROUBLE AT SUMMER VALLEY RANCH (Susan Tanner) for November. And we’ll go forward from there with new books and new adventures. We’re publishing the books in e-format at the major platforms and also in print from Amazon. So many people ask for print books, so here you go! This has been a hoot and a holler—I’ve learned a lot and have so enjoyed working with my writer friends. And best of all has been writing about Trouble. Growing up our intrepid feline watched ALL of the Sherlock Holmes shows (he especially loves the Benedict Cumberbatch version) and so has developed his sleuthing abilities and something of a British accent. He is following in the footsteps of his famous dad, Familiar, who is a Humphrey Bogart admirer. 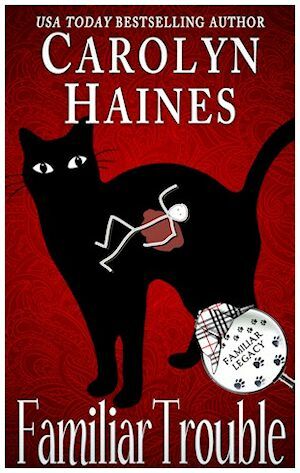 The books are solid mysteries with a satisfying romance, and the cat adds an element of whimsy and social commentary that I just love. You know cats—they are always superior! And the merry band of Familiar Legacy writers are sponsoring a Facebook Launch Party for the new black cat series. Friday, July 14 from 6-9 p.m., join us at our book launch event at Familiar Legacy Facebook Page. 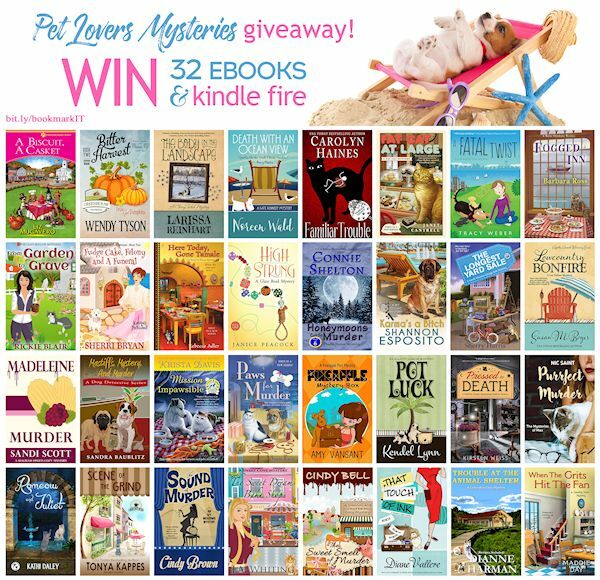 We’re giving away cat toys, books, our first born children (mine are furry, I warn you! ), and sage romantic advice (run, run fast!) And we’re also giving away a Kindle Fire. The winners will be drawn at random. All you have to do is stop by and comment and join in the fun. You guys know I like to mess with my friends, so come help me out! I know for a fact Rebecca Barrett, Tammy Lynn (yes, the real Tammy Lynn from Wetumpka, AL), Michelle Honick, Beth Terrell, and Susan Tanner will be there. No telling who else will show up. You can bet Karma, my black kitty, will be helping me! You can drop by anytime and chime in on any topic, from witches and black cats to mysteries, cooking for finicky felines and much more! Purrs and hisses from Casa Caroline!